Chris Sharma had nearly given up on his project when Adam Ondra came to town—and started making progress. 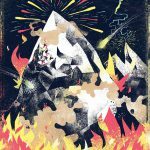 The story of how the world’s hardest climb was born. This article appeared in Rock and Ice issue 213 (October 2013). At the tail end of last winter, two of the world’s best rock climbers were tangling with a route that both considered a new, if incremental, step forward in difficulty—La Dura Dura: the hardest of the hard. 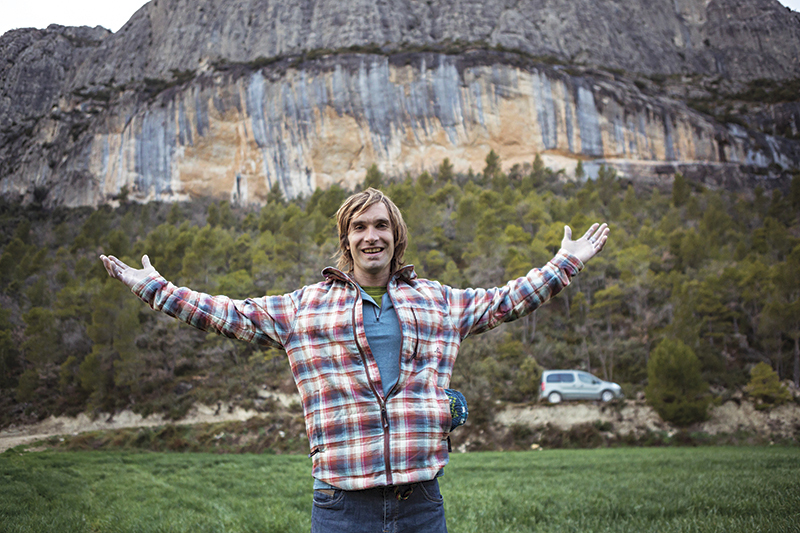 Chris Sharma, 31, the freakishly strong American who climbed the world’s first 5.15a and 5.15b, had bolted the route at Oliana, a radically overhanging limestone cliff in Spain spattered with features barely big enough to grab. After getting the bolts in and working out the sequences, Sharma could do every move on the route. The moves were so severe, however, he eventually concluded that linking them all would be impossible for him, but might be a great project for the next generation. Sharma working the boulder crux on La Dura Dura. This photo was taken in 2009, right after he bolted it. Photo: Boone Speed. Thus began Ondra’s biggest and longest campaign to redpoint a single route. Over the next year and a half—taking nine weeks of effort spread over five different trips—Ondra battled with La Dura Dura. Sharma joined him on it, at first to share beta and just have fun working on a route with someone. Soon both climbers were earnestly training and gunning for the first ascent. Suddenly, these two exemplars of different styles and different generations were in a race to redefine the possible, and by extension, to claim the title of world’s best. 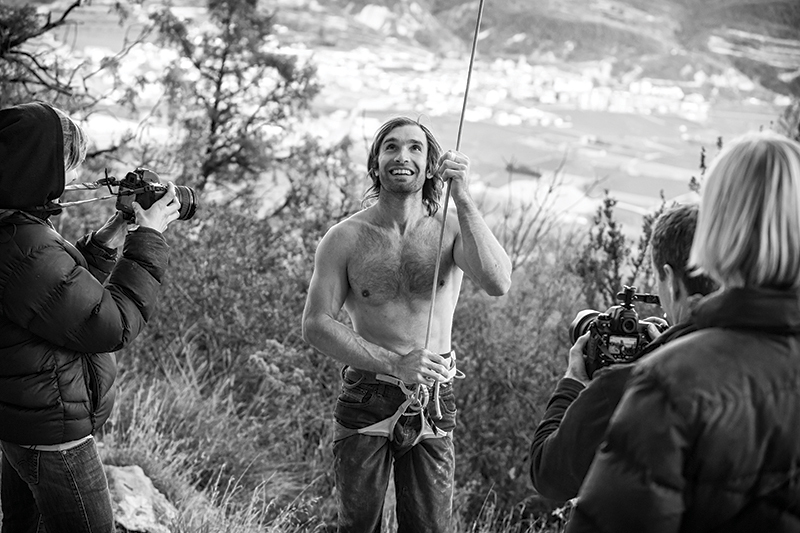 La Dura Dura took on its first faint rendering within Chris Sharma’s mind some five years ago as he realized that something in his life needed to change. In 2008, at 27 years old, Sharma had just sent Jumbo Love, establishing the first rock climb rated 5.15b. By most accounts, he was the best climber of his generation, something he had been told all his adult life. The hype had always made him cautious, and after sending Jumbo Love he realized why. Sharma had been climbing for 15 years and, thus far, he hadn’t really had to try very hard to be the best. After he’d climbed the world’s first 5.15a and 5.15b, his next step was obvious. 5.15c. But what does 5.15c even look like? Where is it? How do you begin? Both Realization and Jumbo Love were OPP: Other People’s Projects, abandoned and given to Sharma as gifts. 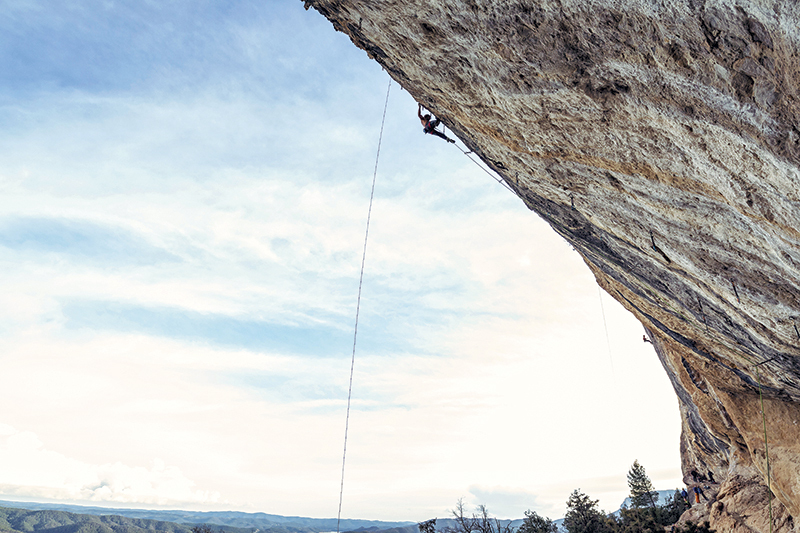 After ticking those two routes, Sharma faced a world without pre-bolted next-level king lines. If he wanted to take the next step, he’d have to create it. “That’s the thing about being on the cutting edge. You have to invent it,” he says. He could have chosen virtually any place in the world to begin that work, but Sharma picked Spain for its concentration of steep limestone. Then the process of discovery, both external and internal, began. Chris Sharma was born in 1981 in Santa Cruz, California, where he started climbing in a local gym—one of the first in the country—when he was 12. Along with Tommy Caldwell, Katie Brown, Beth Rodden and others, Sharma was one of the sport’s first child prodigies. He was winning national adult competitions by the time he was 14, and by the next year he easily climbed every undone route at the Hood in Mount Charleston, including Hasta La Vista (5.14b/c), within a week; also Just Do It (5.14c) at Smith Rock; and in a two-day blitz through Rifle, a one-day ascent of Lung Fish (5.14a/b) and, the next day, an FA of Zulu (5.14a). A little-known footnote to that Rifle trip was the fact that Sharma sent Lungfish on his 20th attempt—a harbinger of the stamina that would later serve him so well. In the mid 1990s, Boone Speed was the top sport climber in America, the first to climb 5.14b. When Sharma tore through the Western U.S., Speed was focusing his attention on the Virgin River Gorge, trying a project called Necessary Evil (5.14c). With barely-there crimps and sustained V10 sequences, Necessary Evil would be the hardest climb in the U.S.—if someone ever did it. Speed showed the 15-year-old Sharma the project and in Necessary Evil Sharma finally found something to sink his teeth into. What Sharma discovered was the way difficult sport climbing can completely order your life and give you a sense of purpose and meaning. Speed was one of Sharma’s first mentors and he shared all that he’d learned in terms of surviving the mental maze that redpointing a hard sport climb demands. “Boone’s vision gave me the head start I needed,” says Sharma. This shot was taken during the actual redpoint of La Dura Dura. Four days prior, Sharma fell at this exact spot when his foot slipped. Photo: Boone Speed. Doing Necessary Evil was a confidence boost for Sharma, and a catalyst for the ensuing 15-year journey that would drive him inexorably toward La Dura Dura. In Spain, Sharma sought the route that would change him more than any other. 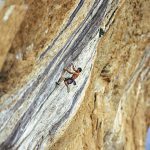 Before Spain, Sharma had only done one 5.15b; he’d need to climb at least a few more before he could realistically understand what 5.15c might feel like. So he bolted and climbed Golpe de Estado, Neanderthal and Catxasa—all of them taking many months. But Sharma wasn’t just trying to find something he could rate 5.15c. The trip was more about searching for that one scary monster and desperate battle that would give him a sense of purpose. In the last five years, thanks almost single-handedly to Sharma’s new-routing efforts, Oliana has become to sport climbing what Mavericks is to surfing: a place for the biggest names in the sport to come and prove themselves. Today this single wall contains more 5.14+ and 5.15s than all of North America combined. In the last five years, thanks almost single-handedly to Sharma’s new-routing efforts, Oliana has become to sport climbing what Mavericks is to surfing: a place for the biggest names in the sport to come and prove themselves. When Sharma tried the moves on La Dura Dura, he was almost horrified by the difficulty. Adam Ondra started climbing at age 6, and by the time he was 13 years old he’d already done a 5.14d. Since then, he has more or less repeated every hard route in the world—easily. 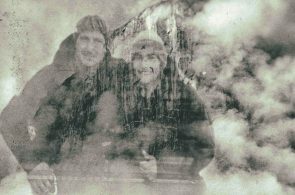 Having already decided the route wasn’t possible for him, Sharma suggested to Ondra that he give La Dura Dura a try. Then, just by watching Ondra making links, Sharma got psyched. Sharma knew it was only natural that one day there would be better climbers doing much harder routes. 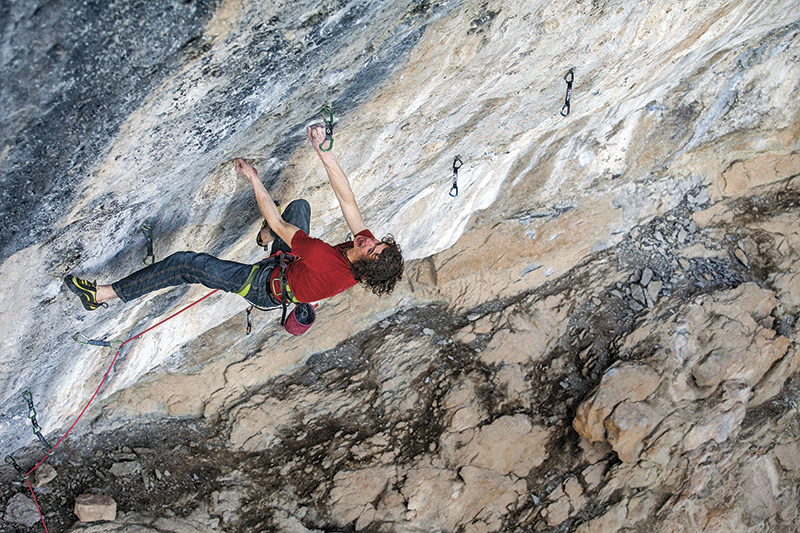 Of all the young up-and-coming climbers, though, Ondra was leading the pack by a large margin. After working on the Dura Dura project for a few weeks in the spring of 2012, Ondra left Spain and spent his summer in the enormous Flatanger cave in coastal Norway. After five weeks there, he claimed the first ascent of Change, a 180-foot roof and the world’s first 5.15c. 5.15c had been established … surprisingly, not by Sharma. But instead of being jealous, Sharma says he felt like a burden had been lifted. He didn’t have to be the one pushing the world standard anymore. Ondra had arrived. Then a couple of interesting things happened. 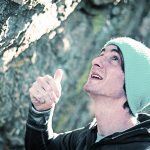 Adam Ondra gunning for the FA of the hardest route in the world. By sending La Dura Dura, Ondra taught Sharma how to try harder. Photo: Bernardo Gimenez. First, Ondra decided that La Dura Dura was actually harder than Change. Maybe not 5.15d, but certainly upper-end 5.15c. Change took Ondra only five weeks of work and he had already spent at least that long trying La Dura Dura, yet the first ascent still felt elusive. Second, Sharma started climbing really well on La Dura Dura. On certain days, he was making even better links than Ondra, and suddenly it looked like Sharma might get the first ascent, and regain his stature as world’s best. “At the beginning I just surrendered to the fact that Adam is the future—he’s arrived, I’m on my way out and it’s all good. It’s the natural order of things,” says Sharma. “When I started actually doing well on it, I realized that I might be able to do it. And then, yeah, all those thoughts crept in. Maybe I can do this first and hold onto my ‘title,’ or whatever. That definitely crossed my mind. February 8, 2013, was Ondra’s second day on. He and Sharma had climbed together the day before, and he had gotten a high point, falling only when he got nervous. 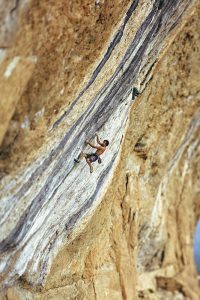 Despite feeling fatigued, Ondra decided he’d just give it a go, not expecting much from himself. Ondra had reached this jug once before, and had fallen on the final stretch—a level of difficulty he routinely onsights. But on this day—after nine weeks of effort on the route and specific training on the campus board—he paused, composed himself and climbed to the top. How is it possible that Ondra, on a day he felt tired and “significantly weaker” than before, managed to do the hardest route in the world? Strangely, Sharma suddenly found himself more psyched than ever to climb La Dura Dura. He was just a few months away from his 32nd birthday and he began viewing the route as a symbolic doorway leading him to a new phase in life. 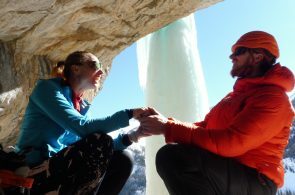 The route wasn’t just another tick; it was a culmination of a five-year period of pushing the limits of sport climbing and he felt like he needed to do La Dura Dura before he could ever move on. Just as Boone Speed had mentored Sharma all those years ago, Sharma was now sharing his routes and knowledge with Ondra. In return, through his talent and perseverance, Ondra was teaching Sharma how to progress. Sharma had already missed a couple of opportunities to send the pitch. 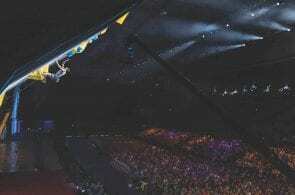 In December of 2012, he had come really close—falling going to the jug at the end of the second crux. But then his fitness had peaked and the opportunity seemingly passed. He started falling lower and lower. Oliana. This single wall has more 5.14+ and 5.15 climbs than all of North America combined. Sharma is largely responsible for its development and popularity. Photo: Boone Speed. Sport climbing is not like other sports, where games or races are scheduled, and you can train to reach your peak on a certain day. In climbing, any day could be your day so long as conditions, skin, psych, strength and the right mental state align. In March, Sharma started getting close to the redpoint again. He was climbing up to his previous high point and the window of opportunity was opening. One day he climbed through the most difficult moves and didn’t even feel tired. He told himself, ‘OK, this is my time to do it.’ Then his foot slipped. “The next time I went back,” says Sharma, “I felt that pressure. I knew I could do it. This should be my day.” But he fell on the first big dyno move. He found himself sitting at the base, thinking about missing yet another opportunity. He wasn’t sure when he’d be able to climb next. The heat of summer was just around the corner. If he didn’t send the route that day, would he have to wait until next December for it to cool down enough for serious redpointing efforts? By then he’d be older, maybe heavier. The possibility existed that he might never do it. Sharma touches down after redpointing La Dura Dura on March 23, 2013. Photo: Boone Speed. On March 23, Sharma tied in for the day’s first redpoint burn, but fell at the first crux. This time his thoughts turned to something a Brazilian climber had told him on the way to the cliff that day. Sharma tied in and thought, play perfectly. It was just him and his friends, including one of his first mentors, Boone Speed. He was simply happy to be out climbing and spending a day playing in the vertical with his friends. Ten short, transcendent minutes later, he found himself at the top of La Dura Dura. 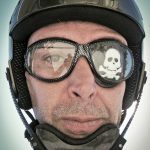 Andrew Bisharat is editor at large for Rock and Ice.